Download The Rise of Atlantis for free at FreeRide Games! 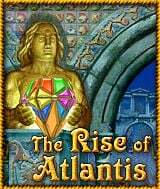 The Rise of Atlantis is an extraordinary Puzzle game featuring Match 3 gameplay, in which you set out on an adventurous quest around the ancient lands of Greece, Troy, Phoenicia, Babylon, Egypt, Carthage and Rome to gather the seven greatest powers of the patron god of the Atlanteans - Poseidon. 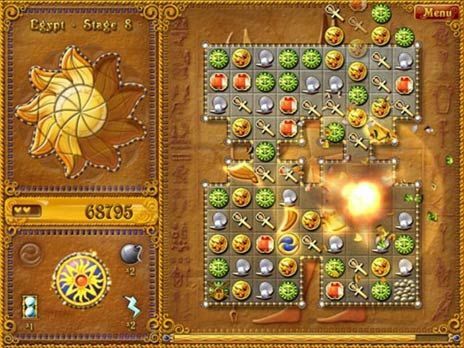 In this puzzle game handy bonuses and power-ups you set out on a quest around ancient lands. Assemble magical artifacts piece by piece and place them on the altar of Poseidon to help you raise the legendary continent of Atlantis. This is a truly captivating and beautifully rendered brainteaser sure to entertain for hours!